The Toot Toot Animal Safari Park from VTech is this seasons most wanted childrens toy Christmas 2014. Voted a firm favourite by parents and kids the world over. 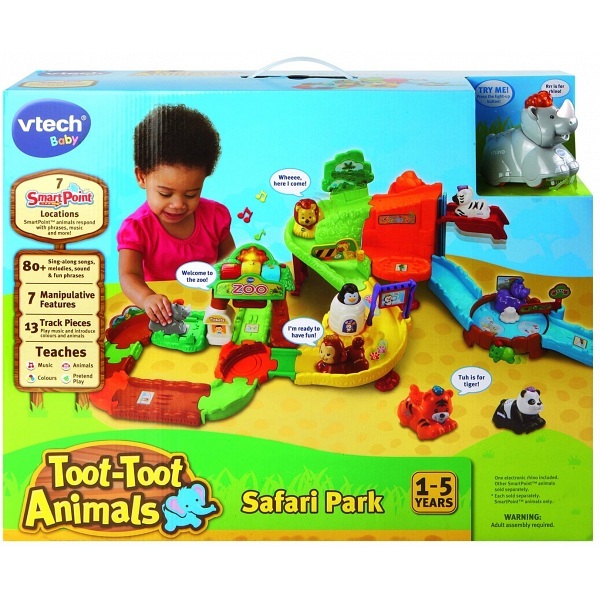 Welcome to the Toot Toot Animal Safari Park from VTech. There’s so much to learn and do. 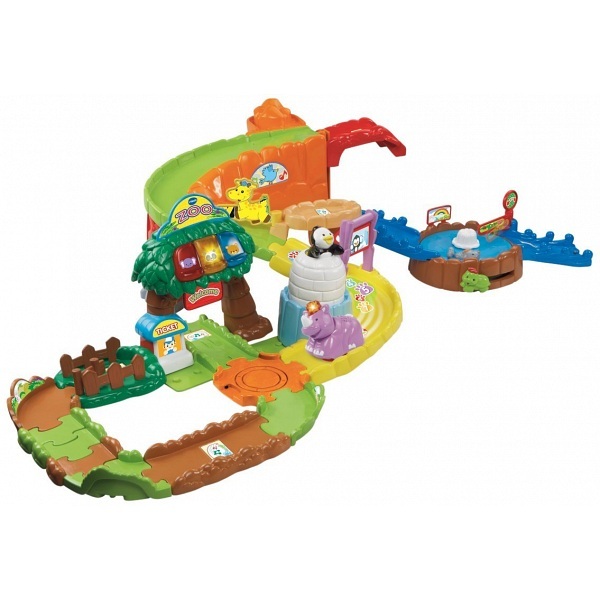 This interactive zoo play set features seven smartpoint locations which respond to the animals with fun phrases, animal and nature sound effects and melodies. Includes two fun modes of play, three animal press buttons which introduce animal names, their sounds and sing-along songs. 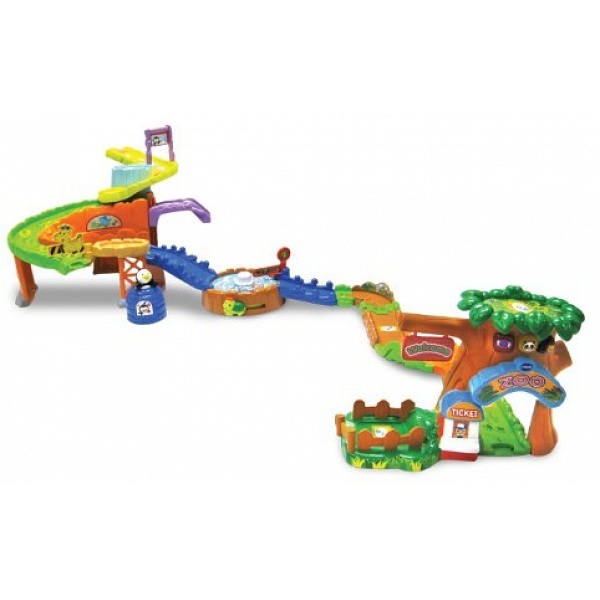 Featuring a lift-up launcher for launching the animals down the tracks and a turning mouse gate to give different routes for the animals. There is also a press and spin alligator pool and a resting meadow with a turning tree and a sliding koala. Includes the Toot Toot Animals electronic rhino.